This series presents leading and innovative research on international financial markets, as determined by the newly created Sanwa Award. 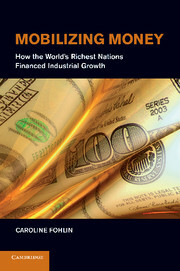 Each year, a selection committee comprised of eminent scholars selects a monograph that represents the best contribution to research on international financial markets. The award is presented in association with "The Sanwa Bank Research Endowment Fund on International Financial Markets," which has been established by the Sanwa Bank, working in conjunction with The Center for Japan-U.S. Business and Economic Studies of New York University's Stern School of Business. The Award Committee's current members are Ryuzo Sato (Ex Officio Chairman and Editor), Akiyoshi Horiuchi, Merton Miller, Marti Subrahmanyam, James Tobin, and Richard Zeckhauser.